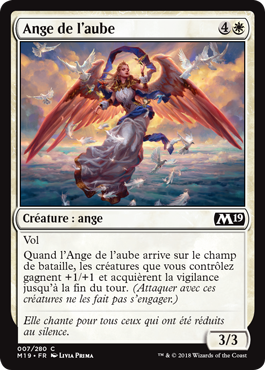 When Angel of the Dawn enters the battlefield, creatures you control get +1/+1 and gain vigilance until end of turn. (Attacking doesn't cause them to tap. ).